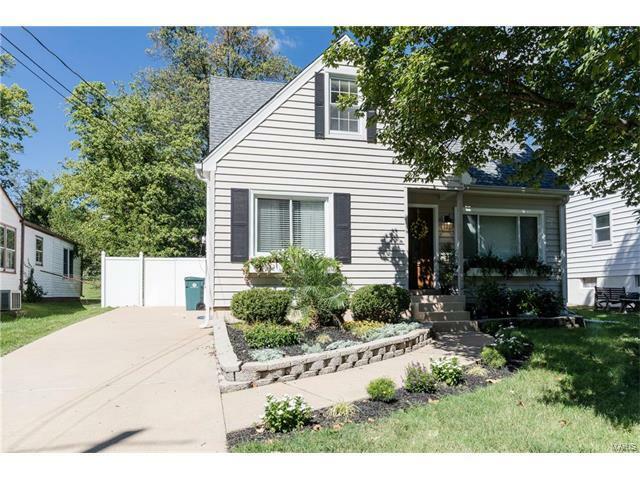 This charming cottage-like, move-in ready 1-1/2 story Kirkwood home is on a very nice sized Kirkwood lot & on a dead-end street w/absolutely perfect curb appeal, a beautifully landscaped front yard. The New Front Door welcomes you as you notice the absolutely perfectly gleaming original hardwood floors re-finished throughout to make it a warm & inviting home! THEN***A GORGEOUS KITCHEN*** includes ALL appliances, granite counters, tile, a large breakfast bar & also opens to a formal dining area! A main floor bedroom adjoins renovated full bath for simple one level living OR Condo alternative!! Additional office/workout area & or two addit'l bedrooms in upper level that include spacious closets! ALL w/Newer HVAC condenser, newer roof & windows; The Lower Level is awaiting your finish or plenty of storage & laundry!! A Perfect first time buyer opportunity, downsize & simplify or expand a cute bungalow in the future in one of the greatest communities w/all the amenities KIRKWOOD offers! S Geyer to West on Nirk to North on George; home on left.